From the time we walked into the showroom, and met with Steve G. to the final install of the tile, everything went wonderfully. Steve always quickly responded to my many emails and questions throughout the process. We ended up picking out a higher end carpet and tile, and I couldn't be more pleased with the results. 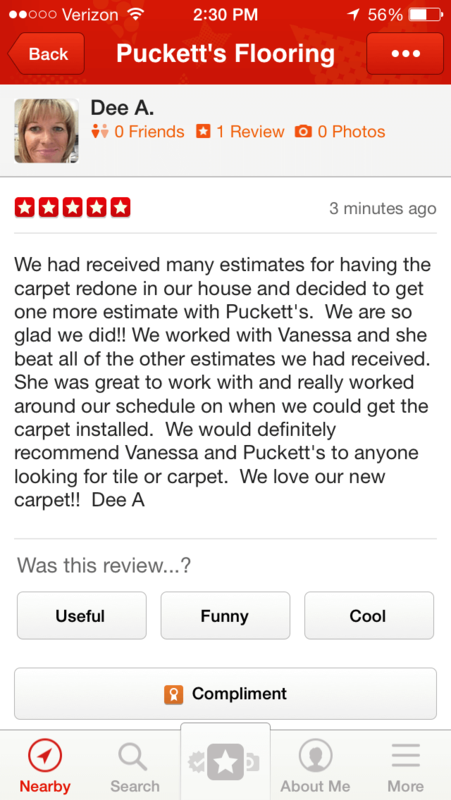 The tile people were great - and I don't think I've ever met a better installer than Salvador's carpet team. VERY pleased with the results! They were efficient, neat, clean and respectful of our pets. 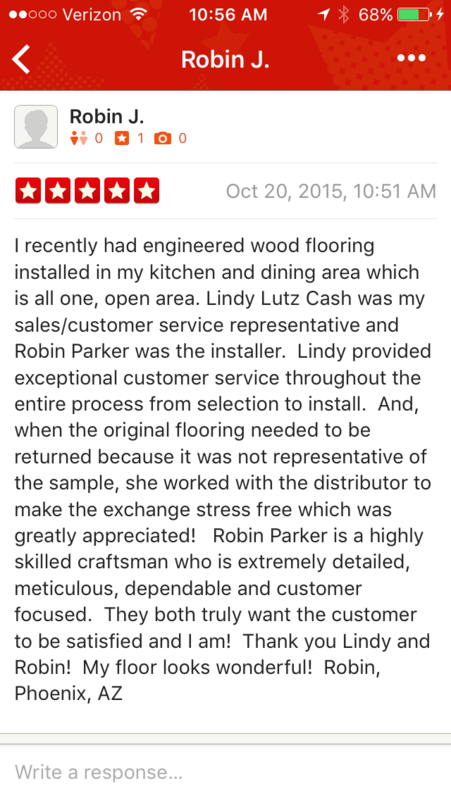 Great job and highly recommended. I wanted to let you know that the carpet at Copper Trail looks FABULOUS!!! 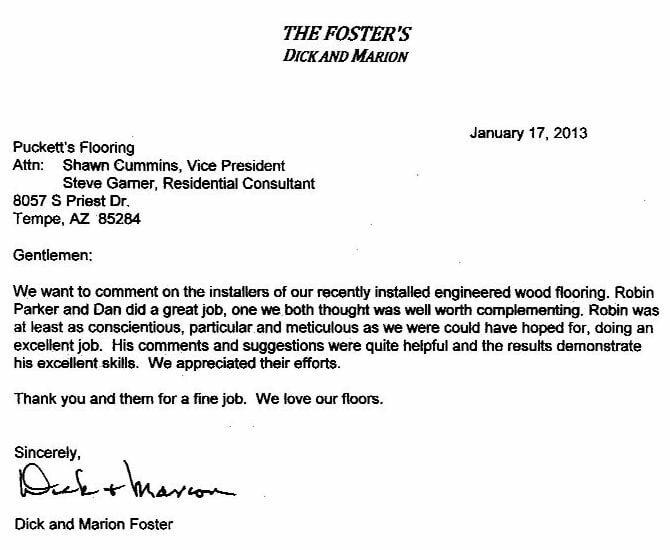 We are thrilled and wanted to share that it has been an absolute pleasure doing business with you. 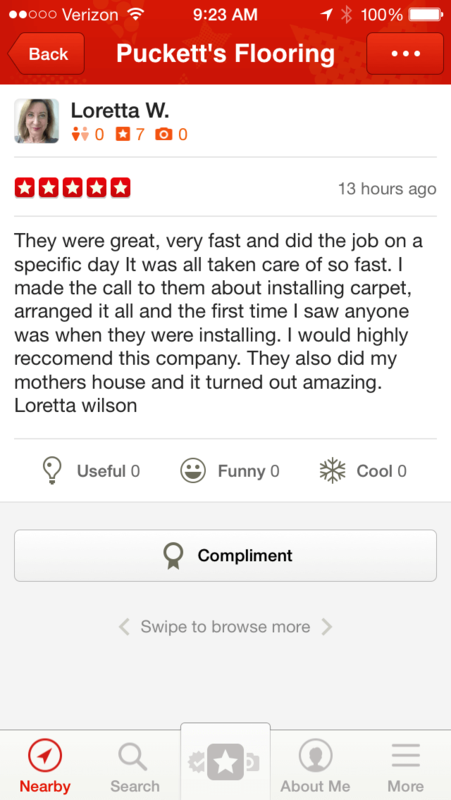 Thank you for all of your help and patients while we worked through the carpet buying process. 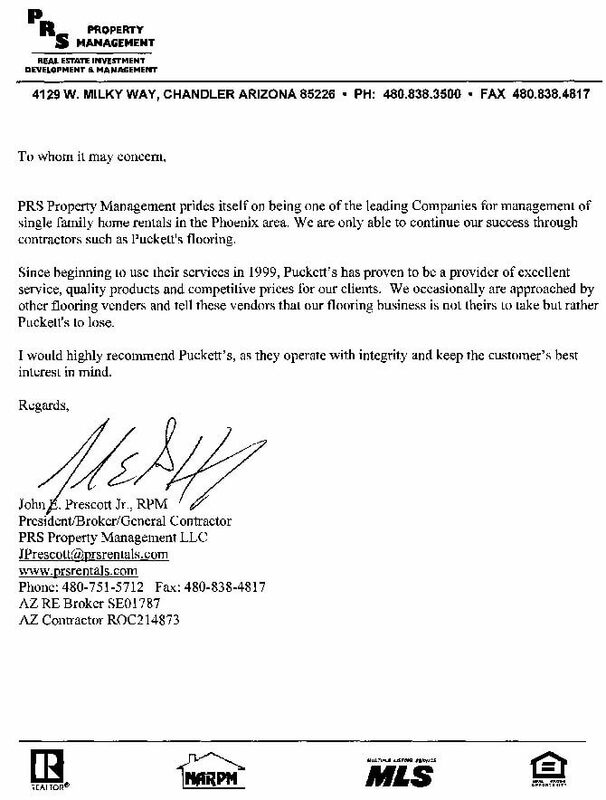 Chandler Valley Hope has worked with Puckett's Flooring on many projects over a span of many years, and we nothing but positive feedback regarding their ability to support our needs. With our business, we aren't able to close our doors and our facility is open to service patients all day, every day of the year. 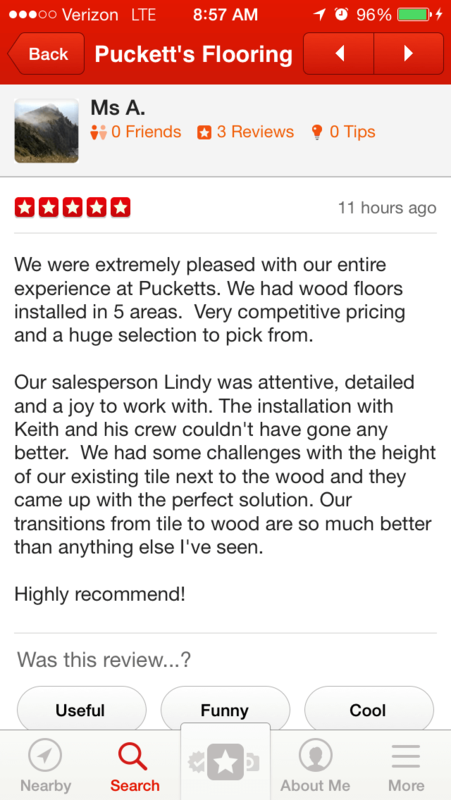 Scheduling and prompt attention to safety and planning is vital to our ability to work with any vendor, and Kris and the entire Puckett's team have always been respectful of our needs, within budget and on schedule, while installing a commercial quality end product.